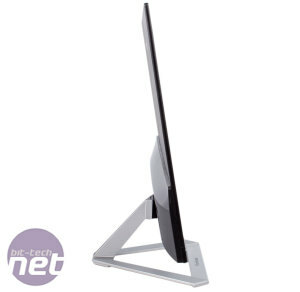 Monitors aren't something we've reviewed with any regularity here on bit-tech for a long time, but we're hoping to start getting them done more frequently starting now. Do let us know your feedback for this review in the forums – if there are specific screens you'd like to see reviewed, an area of the market you'd like us to focus on or certain tests you want performed, please make your voice heard and we'll do what we can. With that said, let's get started. 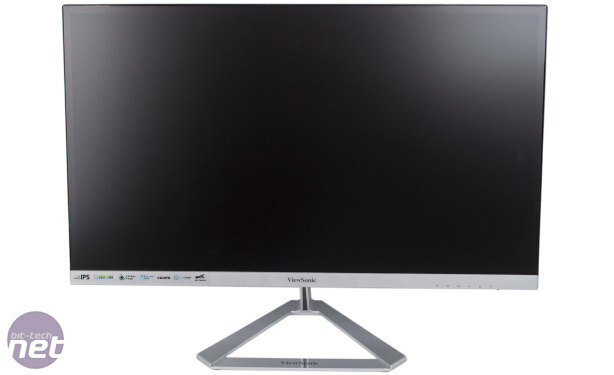 The first screen to be used with our new testing equipment is the ViewSonic VX2776-smhd. The 'VX' prefix indicates that this is part of the company's consumer range, rather than its professional or gaming families ('VP' and 'XG' respectively), so while it may not offer the latest features or top-tier performance, we're looking for a well balanced screen that's easy to use. 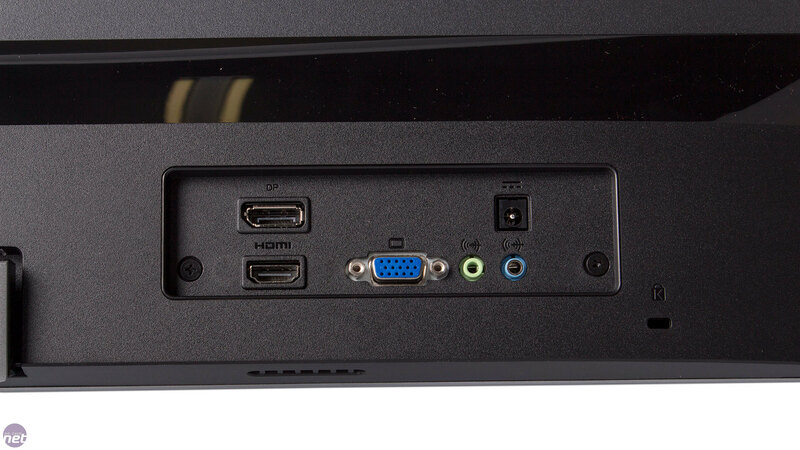 In terms of specs, the VX2776-smhd is a 27in 1080p panel. Having only a FullHD resolution at this size means that sharpness isn't going to be a strong point as the pixels per inch will be on the low side. 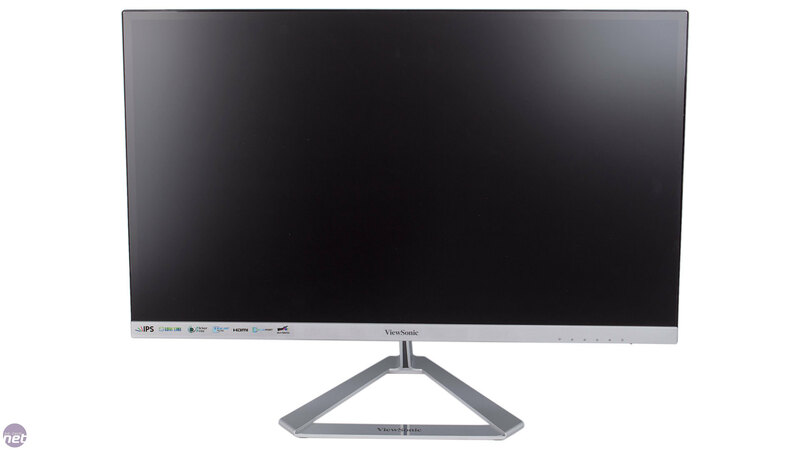 Nonetheless, ViewSonic is using an IPS panel here, so image quality should be a step up from your average TN panel. Average grey-to-grey response time is quoted as 4ms, and the refresh rate at 1080p is capped to 60Hz, with no support for G-Sync or FreeSync: as we said, a gaming monitor this is not. For its category, the VX2776-smhd is a little pricey, but it's certainly not the most expensive 1080p 27in screen around. Something that certainly helps bolster its appeal is its build quality and looks, with the main draw being the thinness of the screen itself as well as the bezel (6.6mm and 2mm respectively) – it looks modern, sleek and a real cut above standard black plastic affairs. The panel securely slots into the strong metal stand, which is easy to build via a single screw and has plenty of rubber so it grips your desk very well. Sadly, this simple construction process results in a lack of adjustment options. 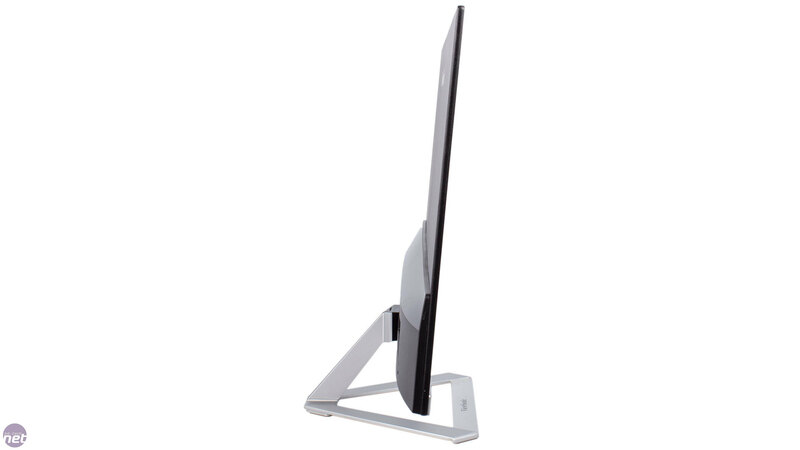 There's only a moderate amount of tilt available – there's no height, swivel or rotation mechanisms, and there isn't even the option to wall-mount it either. 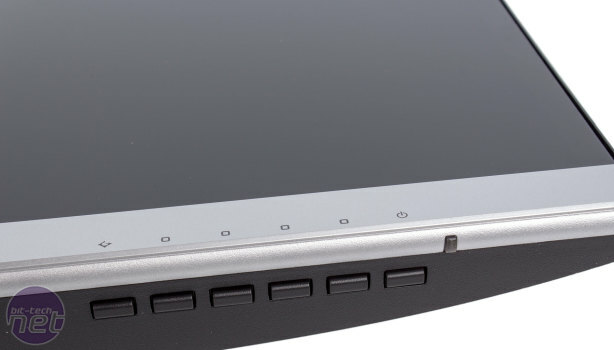 Meanwhile, the thin design means ViewSonic has moved the power supply to an external brick, although most users should be able to hide this out of sight with ease. 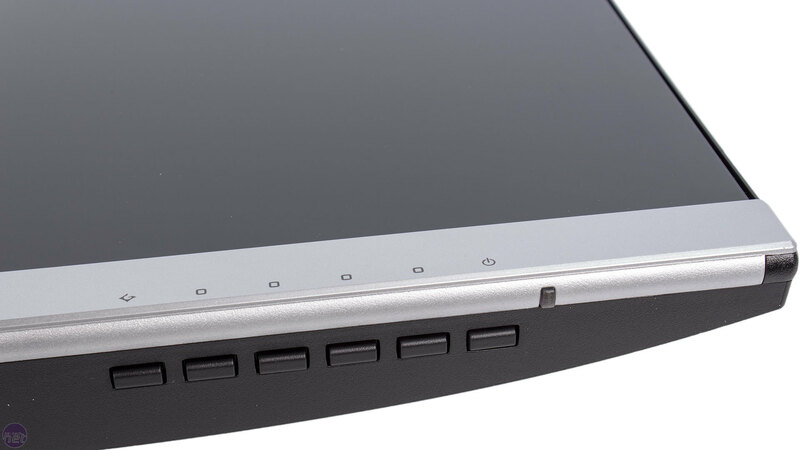 Another positive is the set of rear-facing ports, which are dead simple to access. Display inputs include one HDMI, one DisplayPort and one VGA header, which is a pretty decent selection for a 1080p panel, although DVI would have been nicer to see than VGA. You also get 3.5mm jacks for line-in (in case for some reason you want to use the onboard speakers, which as ever are tinny and rubbish) and line-out; useful for routing the audio signal from HDMI or DisplayPort connections to a proper set of speakers. Menu controls are hidden neatly on the underside and front-facing symbols allow you to find them easily. The buttons are context-sensitive, so symbols appear on the screen letting you know what each button does at any one time – it's all very intuitive. The right-hand button is the power switch, while the left-hand button gives you quick access to various profiles. 'Native' is the name of the screen's default profile, and you can also switch to sRGB, which lowers the brightness and aims to match the sRGB colour space as best as possible. There are also 'Warm' and 'Cool' options for making the image warmer and cooler (obviously) as well as a 'Bluish' profile, which produces a blue-heavy, overly cool image. Naturally, you can also program your own RGB profiles; up to three, in this case. The four middle buttons, meanwhile, all bring up the same initial menu, where you have quick access to ViewMode, contrast/brightness settings, input selection and the main menu. ViewMode options include Standard, Game, Movie, Web, Text, Mac and Mono, each of which alters the image and colours to try and suit the relevant application. Within the Standard and Game modes you have further options for low input lag, black stabilisation, dynamic contrast, a blue light filter and response time – these are all off limits in the other, fixed profiles. 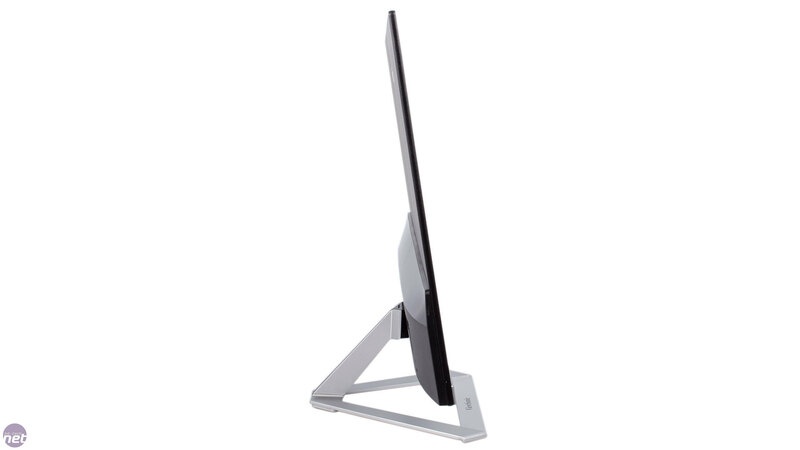 27" 1080p panel with a 144Hz refresh rate and FreeSync. 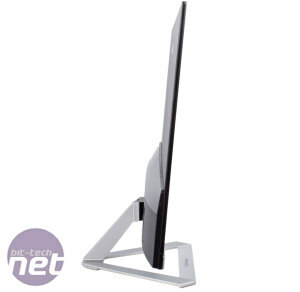 One of the cheapest FreeSync monitors on the market passes through our labs. Featuring a 27", 4K panel, and G-Sync, the £600 AG271UG is looking to shine.